Bluegrass Pundit: New poll finds FOX News is the most believable cable news channel. New poll finds FOX News is the most believable cable news channel. It used to be that whenever an important news story broke, cable television viewers would quickly turn to CNN for must-see coverage of what was happening. However, according to a poll conducted regarding the five-day coverage of the Boston Marathon bombing, that is definitely no longer the case. Of course, all cable news outlets saw their viewership rise sharply because of their coverage of the bombing and subsequent search for the terrorists behind it. Also, MSNBC had no reason to smile since the poll indicated that 42 percent of the people polled “don’t watch” the channel. In addition, the liberal channel fared poorly in the “very” or “somewhat” believable category with 35 percent. 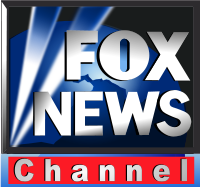 However, the survey brought good news for the Fox News Channel, which had a 50 percent rating in the categories of “very” and “somewhat” believable even though 28 percent of those polled said they don’t watch the cable news outlet, which is far less than its competitors.